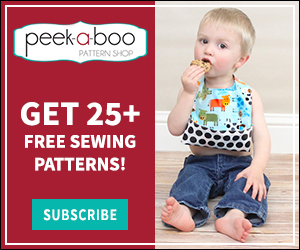 How to Make a T-Shirt Blanket: Day 1 - Peek-a-Boo Pages - Patterns, Fabric & More! Hello again! It’s Stephanie from Stephie B’s here to walk you through the process of making a t-shirt blanket! I’m excited to share this project with you! I’ll be covering my process start to finish over the next four days, sharing pictures and images so you can see how my project progressed. There is no one way to make a t-shirt blanket, but hopefully some of the advice and information I’ve included below will help you make a special memento for someone you love. The two blankets I’ve made for this tutorial are very, very special, and as a result, took me a few months to complete. Don’t worry, the process of making a t-shirt blanket doesn’t take that long… it took me longer to make the first cut than it did to make the blankets. A close friend lost her father tragically several years ago and was looking for a way to use eight shirts he left behind to make keepsakes for her two sons. There are quite a few steps to the process of making a t-shirt blanket, so I’ve broken it down to a total of 5 that will be covered over the next 4 days. Below is the overview of the steps, and what I’ll be discussing within each one. There are a few things you need to figure out before you start cutting. What size do you want your blanket? What will it be used for? The chart below is a good starting point to typical blanket sizes and may help you figure out how large you want to go, or how large you can go based on the t-shirts and additional fabric you have. Don’t feel obligated to stick to these exact measurements… I sure didn’t! My two blankets were meant to be lap blankets for the boys, so I chose to make their final size 48” x 36”. What will your panels look like? Will they all be the same size (uniform) or will some be larger than others and consist of rectangles and squares (irregular)? There are several options for how the front of the blanket will look. Some t-shirt blankets you’ll see will consist of uniformly-sized square panels, with each one containing the t-shirt’s central graphic. If you can do this with your t-shirts, wonderful! Plan for them all to the same size (for example 12 x 12) and continue with the steps I cover next. Because the graphics on my t-shirts were numerous sizes and in different locations on each shirt, I opted to plot out squares and rectangles based on each different shirts’ graphics. I also chose to use the pockets and button plackets from the two Hawaiian shirts and wanted to add a panel with each of the boys’ initials on it so the blankets would be even more personal to them. If you choose to do irregular-sized blocks as I did, measure each of your graphics and take note of how much fabric surrounds the image. For example, in the image below, the graphic is 5” in length, but can be extended up and down a few inches, so I called it a maximum of 8”. That way I’d have about 1 ½” on the top and bottom of the graphic, cutting it as close to the collar as I could. How will you be attaching the front of the blanket to the back? Will you use binding, or sew the two sides together around the edges and flip right-side-out like a pillowcase? Because my t-shirt blankets consist of many blocks sewn together, I cannot simply use just one layer – the seams would be exposed on the back and it would look pretty sloppy. Below is a sneak peak of the back of one of my blankets… this is not what you want the back of a blanket to look like, and it’s definitely not snuggle-worthy. I chose to use a pillowcase-style, which will be achieved by sewing the front and back together around the edges with right sides together (RST), leaving a gap to turn the blanket right-side-out. I’ll go over more of how to do this in Step 4. I also chose to use solid black cotton Lycra for the back of the blankets, cut to the same dimensions as the front. Will you be adding sashing strips between the panels to break them up/define them from one another? Will you also include a border around the edges? Sashing strips are the horizontal and vertical pieces of fabric between each panel. They provide a barrier, separating the panels from one another to add definition. If you choose to use them, they can be as thick or thin as you’d like, and be any color or print you think looks good – it’s a personal preference and may also depend on how large or small you’d like your final blanket to be. For my blankets, I chose to add a 2” sashing strip of black cotton Lycra between each panel, and in order to incorporate the purple she had requested, I opted to use a 2” strip of purple cotton Lycra around the borders. What will you use for your seam allowance? ¼”? ½”? The seam allowance MUST be included in all your measurements (panels, sashing strips, and borders) or the whole blanket will be off – the pieces won’t fit properly and it will be inches smaller than you expected. 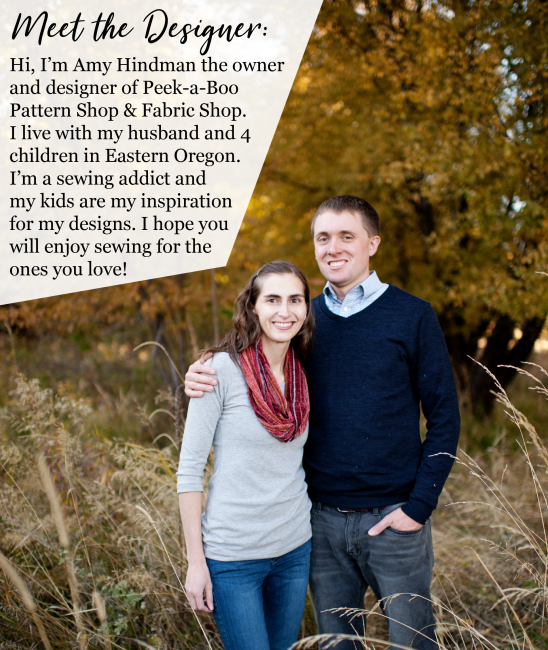 I chose to use a ¼” seam allowance so I could utilize as much of the t-shirts as possible. Therefore, each of my length and width measurements needed to include an extra ½” seam allowance – ¼” on either side of all the pieces. For example, using the Geologist t-shirt graphic from the image above, I chose to make the final panel 8” x 11”, so would eventually cut 8 ½” x 11 ½” in order to achieve that size. Will you be applying interfacing to your t-shirts to help stabilize them before cutting and sewing? The ‘problem’ with t-shirt blankets is that they are made from t-shirts, which generally means they’re made from knit fabric which is stretchy. Stretchy fabric does not lend itself well to exact measurements – which is precisely what you need when making a blanket. Every ¼” matters, so the slightest stretch in one shirt will mis-align the rest of the blanket. Additionally, most sewing machines don’t work well with knits, so having that stabilization will help keep your machine happy… which is always a good thing. On the other hand, interfacing tends to stiffen and thicken the fabric, meaning it is not as flimsy and stretchy as the original t-shirt, which may be a feature you want. If you are confident in your ability to sew knits without stabilization and you prefer to maintain the stretchiness of the fabric, by all means, skip the interfacing! I went back and forth for over a month on this one aspect of the blankets – and even cut out many of the panels – before ultimately decided to use interfacing. After researching and testing several different types of fusible interfacing, I chose to use Pellon SF101. I ordered a 10 yard bolt off Amazon to make sure I had enough. I don’t feel it stiffened the fabric very much, and in fact, I think it made the blankets a little heavier and snugly-er. No matter how you do it, you need to plot the layout of your blanket. You need to know what size to cut each panel, sashing strip, and border strip (with the seam allowance!) in order to know where your pieces are going to go. Use scratch paper, draw it on graph paper, or if you’re like me, head to your computer and build it in Excel. Below is the layout I used for both my blankets. As you can see, I’ve included all the graphic panels, additional fabric from each shirt to use as solid colored panels, sashing strips, the border, the personalized ‘A’ and ‘S’ panels, as well as a label for each piece so I knew what and how much to cut out and where they all went. I printed these out and had them next to me each step of the way. Now that you have your plan, come back for Day 2 to prepare your shirts for sewing!